In an age of technological overload, tech gadgets released two years ago can seem just as dated today as those that came out in the 1980s. As a society, we have abandoned clunky, plastic cell phones with antennas for sleek iPhones made of glass; wired controllers for wireless virtual reality headsets. Take, for example, Microsoft’s Xbox: Released in 2001, the gaming console was big, bulky, and slow. And it didn’t yet feature its most popular trait, Xbox Live. Today, the console’s design is much sleeker. It’s moving further away from cords, wires, and even disc drives – in fact, it’s rumored the console may soon abandon CDs completely. 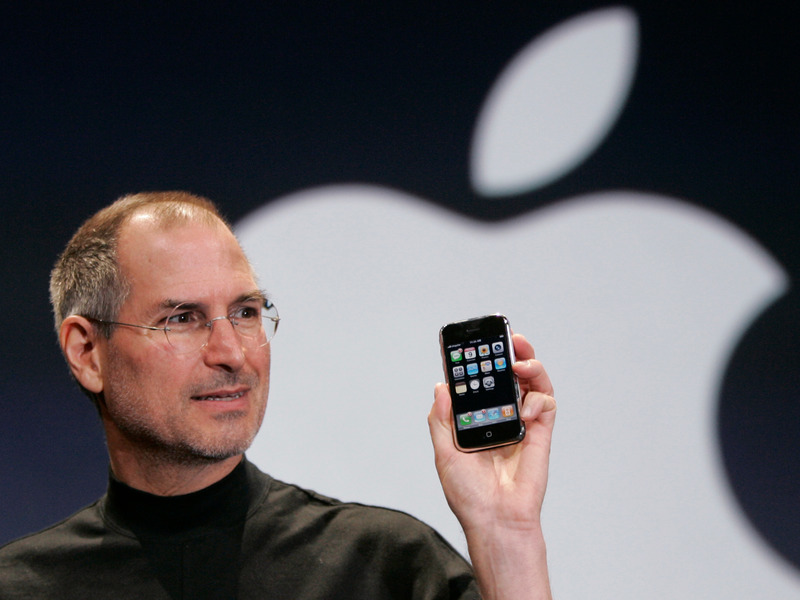 1 Released in 2007, the iPhone revolutionized the way we use technology. 2 Apple unveiled the iPhone XS, iPhone XS Max, and iPhone XR in 2018, three new iterations of its popular smartphone. 3 Amazon’s Kindle was released in 2007. It came only in white and had an E-Ink display that made reading easy on the eyes. 4 Today, Amazon’s Kindle starts at $80 and comes in varying styles and sizes. 5 Microsoft jumped into the gaming console market in 2001 with Xbox. 6 Fast-forward nearly two decades, and Microsoft has sold more than 30 million Xbox One units. 7 The Apple Macintosh made its debut in 1984 as the first mass-market personal computer. 8 Today, Apple offers an array of personal computers and laptops, like the iMac and the MacBook. Released in 2007, the iPhone revolutionized the way we use technology. Considered peak innovation at the time, the iPhone has improved significantly in the last 12 years, both in style and substance. Apple unveiled the iPhone XS, iPhone XS Max, and iPhone XR in 2018, three new iterations of its popular smartphone. The present-day devices are bigger, no doubt, and more difficult to fit in your back pocket. Yet, the features on the iPhone XS and iPhone XR (pronounced “ten ex” and “ten are”) are ones none of us would’ve dreamed of in 2007. You can now go anywhere without your wallet, thanks to Apple Pay; dual cameras help capture images with the quality of a seasoned pro; and to top it off, the Health app helps track everything from your sleep schedule, to nutrition, activity, and mindfulness. Amazon’s Kindle was released in 2007. It came only in white and had an E-Ink display that made reading easy on the eyes. The first Kindle wasn’t a touchscreen, but instead had a full keyboard and manual scroll wheel. The device offered access to 90,000 books at launch and started at $399. It sold out within 5.5. hours of being released. Today, Amazon’s Kindle starts at $80 and comes in varying styles and sizes. Amazon currently offers three styles: Kindle, Kindle Paperwhite, and Kindle Oasis. The current versions come with features like waterproofing, built-in Audible — Amazon’s spoken entertainment programming — and WiFi and cellular connectivity. Microsoft jumped into the gaming console market in 2001 with Xbox. A year after the console debuted, Microsoft launched Xbox Live, where users can game online with others. Fast-forward nearly two decades, and Microsoft has sold more than 30 million Xbox One units. Microsoft stopped releasing sales figures for its consoles, but less than two years ago, Variety reported that Microsoft had sold about 30 million consoles by the end of 2017. Microsoft disputed that figure, but didn’t clarify how many consoles were sold. While the console started off with cords and CD drives, its remotes are all wireless now, and there may be no disc drives at all in coming models — Microsoft is reportedly working on a new, strictly digital console that will launch this spring. The Apple Macintosh made its debut in 1984 as the first mass-market personal computer. A project spearheaded by late Apple CEO Steve Jobs, the Macintosh set out to revolutionize personal computing. Rather simplistic (and clunky) in nature, the Macintosh included a graphical user interface, built-in screen, and mouse. Today, Apple offers an array of personal computers and laptops, like the iMac and the MacBook. While the 1984 Macintosh was limited in its scope by today’s standards, Apple’s latest line of personal computers have infinite capabilities: high-definition displays, 10 hours of battery life for laptops, and up to 4 terabytes of storage.